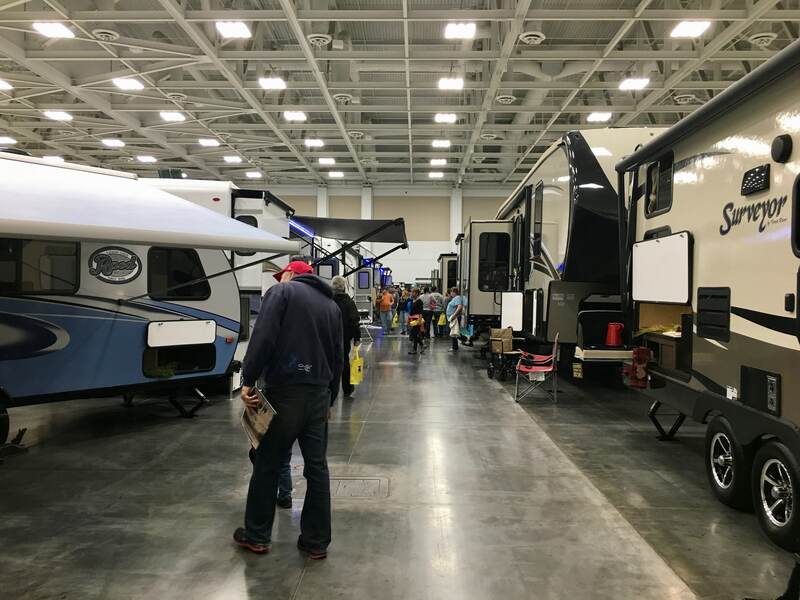 What can you hope to get out of a small local RV show? We live in a relatively small market for RV’s – Hampton Roads (aka Virginia Beach area). We have about a half dozen dealers in the area, but most only sell trailers and fifth wheels, and a handful of Class A’s. There are two RV shows in our immediate area – but both are very small compared to the large events in larger cities. About 5 or 6 dealers, showing a dozen or so RV’s, and most are trailers, class C’s and occasional 5th wheels and Class A’s. We are not interested in ‘shopping’ RVs at these shows. They don’t sell what interests us. However, we think there is still value in attending. So, what do we get out of going? QUIRKY products. Ok, my husband is a sucker for quirky products. At one show, we bought these plastic things that help keep snacks fresh (they work!) We have become a bit more selective lately, but you can find some really funky stuff. New RV floorplans. We aren’t looking for a new RV, but are still interested in checking out RV layouts to see what’s new! At a recent show, we saw a bunk house over the living area! Check out the pics below. Interior design. Well, this isn’t our favorite part of the show as we mentioned in other posts that RV manufacturers really need to come up with better designs. But it is still nice to keep tabs on progress they might be making. It is also cool to see if there are any design ideas we can borrow for our own rig! Support your local RV community. There is a benefit to showing up, and looking around. The vendors and dealers – if they hope to be more successful – will listen to their (potential) customers. Just talk to them, tell them what you’re interested in. We politely ask ‘do you have any Class As?’ We kinda know they don’t, but it shows some interest. Also, Just your presence will demonstrate that there is market for RVs in general. Hopefully we’ve inspired you a little to get out and visit your small RV shows! 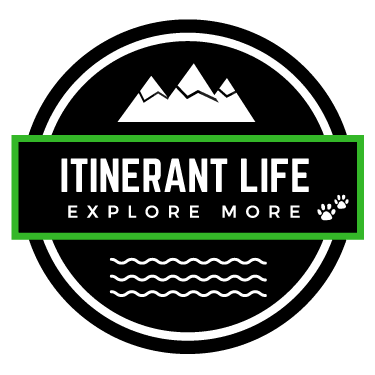 They’re kinda fun, usually pretty quick to tour, and they can help the industry know you’re interested, or what you’re interested in. Some of the vendors are pretty far afield from RVing (S&B bathtub inserts? what?) but always entertaining. Remember: You don’t have to buy anything, but if you do, the ‘show specials’ are great discounts, and I bet few dealers would lose a sale if you talked to them shortly after the show, too.